I use our own Witch to switch between open windows (and as of 4.0, tabs), and have it assigned to Command-Tab. In the span of only a few days, it’s become second nature to press Command-Tab, then double-tap the Command key when I want the cursor to follow. 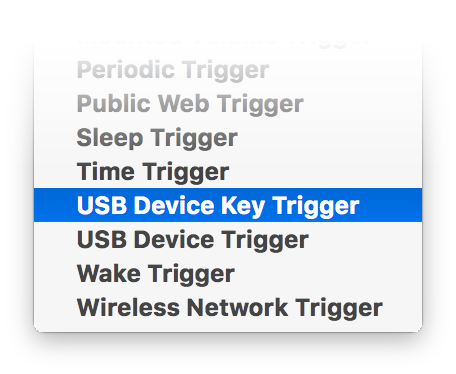 There’s only one minor trick to setting this up, if you’re not using the downloaded version: If you look at the Triggers pop-up menu, you won’t see This device key listed anywhere. But as shown at right, you will see USB Device Key Trigger, and that’s the one you want to select. 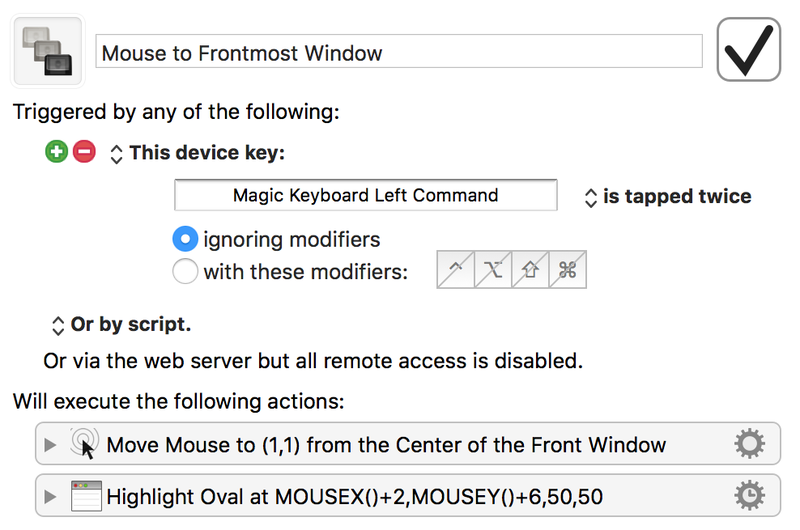 Notice, too, that you can assign right and left modifier keys independently, if you wish. 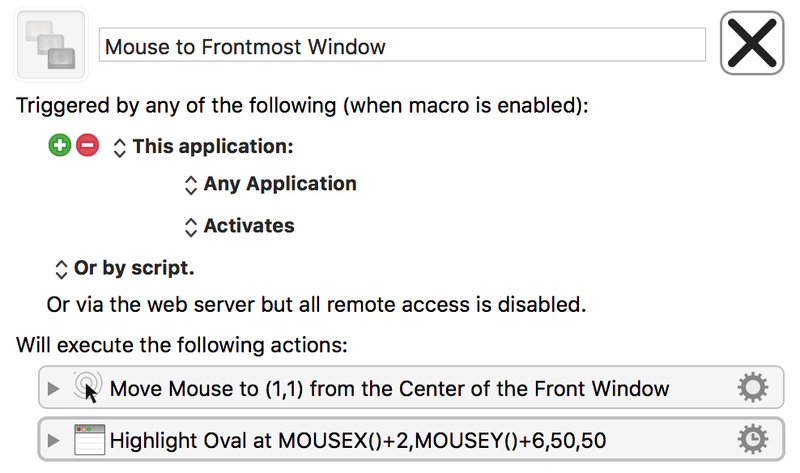 With this macro, I’m doing a lot less long-distance mousing, which is both good for the wrists and quicker, as the mouse movements I do make are much shorter.